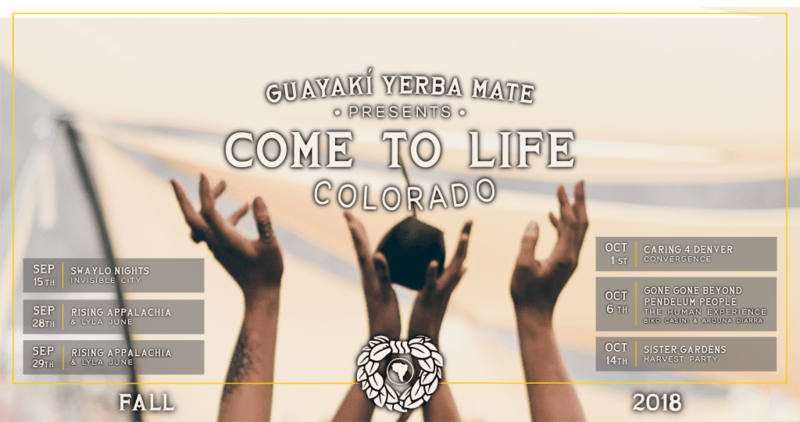 This September and October, Guayaki Yerba Mate’s music collective Come to Life presents a month-long event series Come To Life: Colorado featuring concerts, farm to table feasts, gatherings that connect us via art and music, late night dance parties, and action days teaming up with nonprofits to bring awareness to the importance of regenerating communities. Join them for a series of events revolving around intention and supporting the Caring 4 Denver initiative. We will reshape the way we gather, support seeds of resilience, and leave a positive impact.